WhatsApp for iOS has reportedly started receiving group audio calls feature. Facebook confirmed at its F8 annual developer conference in San Jose, California that WhatsApp will get group video calling feature. WhatsApp for iOS has reportedly started receiving group audio calls feature, WABetaInfo revealed in a Tweet. The feature is available on WhatsApp for iOS version 2.18.60 for a limited number of users. The Tweet was accompanied by a screenshot, apparently of group audio call user interface. The number of participants that will be able to join a single group audio call is unclear at this moment and we will have to wait for an official confirmation to know more. Separately, WhatsApp for Android beta has received a new ‘Select all’ feature that lets users select multiple chats at once to delete, mute, mark as unread, etc. “WhatsApp for iOS 2.18.60: group audio calls UI. [AVAILABLE FOR A FEW USERS ONLY.. PLEASE WAIT],” reads WABetaInfo’s Tweet. WhatsApp group voice calls feature was also spotted on the 2.17.70 Android beta WhatsApp update in October last year. It was earlier reported that the Facebook-owned messaging app could release the feature this year. The interface of group audio call will likely remain similar to individual call UI with profile pictures of participants on top followed by options to enable speaker, video call, and mute at the bottom. WhatsApp’s ‘Select all’ feature for Android beta is a part of beta version 2.18.60 or above. Do note it is only available for beta testers, with public availability expected soon. To use the feature, long press any chat to select it and then click on three vertical lines on top right. From the menu, choose ‘Select all’ below ‘Add chat shortcut’, ‘View contact’ and ‘Mark as unread’ options. WhatsApp users can then choose to mute, delete, pin, Archive, mark as unread/read multiple chats. Facebook confirmed at its F8 annual developer conference in San Jose, California that WhatsApp will get group video calling feature. However, there is no release date regarding when group video calling will be rolled out. 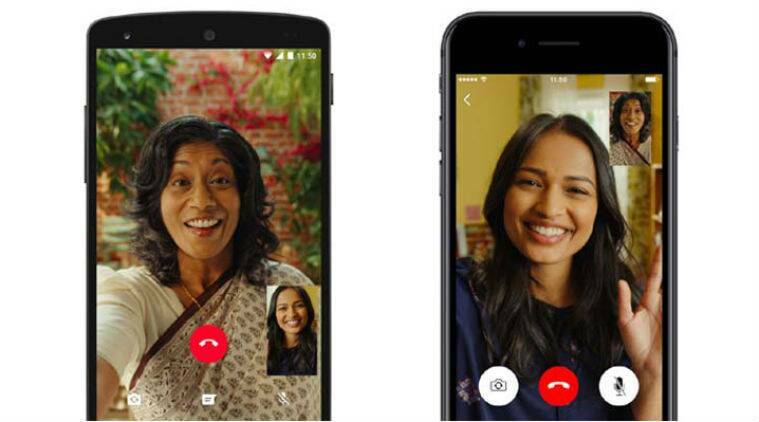 Though not confirmed by the company, four people will likely be able to do a group video chat together at once. In addition, a new Stickers feature will also come to the WhatsApp.